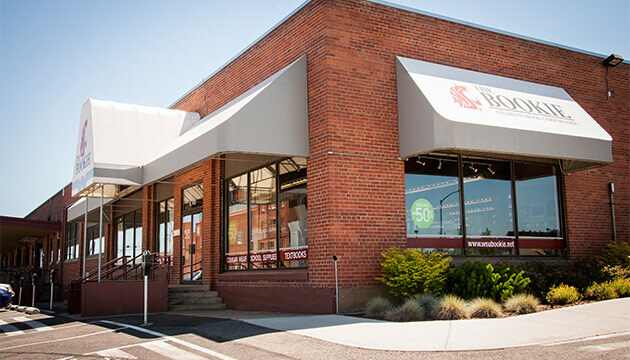 For a hundred years the Washington State University student-owned bookstore, affectionately known as the Bookie, has served as a social hub, a source of funds for the student body, and, of course, the place to get textbooks and supplies. The Students Book Corporation dates to July 10, 1914. 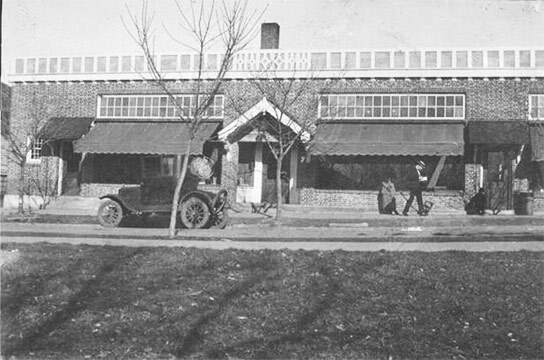 The Students Pharmacy store was purchased for the initial student bookstore and operated from 1914–1923. It was located at the current location of Wilmer-Davis Hall. Here are student employees are sitting on the front stoop on the original store. Courtesy WSU Manuscripts, Archives, and Special Collections. A new wood-framed building with exterior brick was constructed in 1923 next to the music conservatory and financed by the Associated Students. Photo from 1924. Courtesy WSU Manuscripts, Archives, and Special Collections. 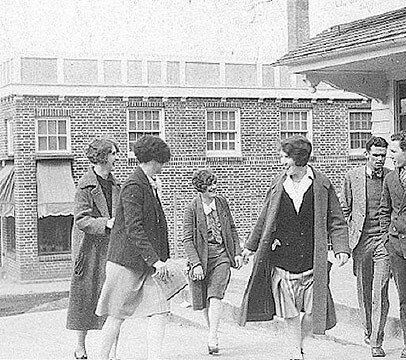 Another photo of the Students Book Corporation building constructed in 1923. Courtesy Neill Public Library and WSU Manuscripts, Archives, and Special Collections. A photograph of the sidewalk in front of the Students Book Corporation (Bookie), visible to the right. Circa 1926, courtesy WSU Manuscripts, Archives, and Special Collections. 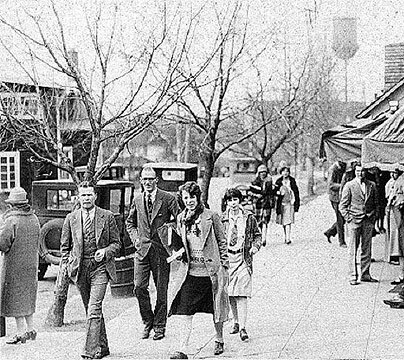 Students walking in front of the old Post Office with the Students Book Corporation (Bookie) visible in the background. Photo from 1926, courtesy WSU Manuscripts, Archives, and Special Collections. 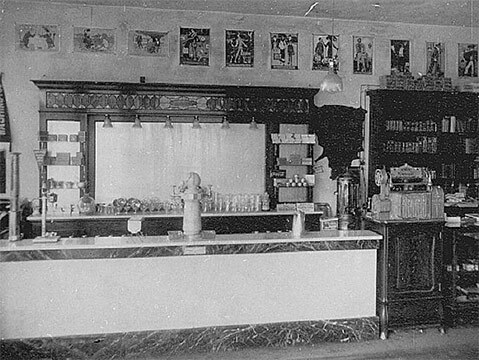 Inside the Bookie a long soda fountain with levers provided students with fountain drinks, ice cream, coffee; and (not shown in photo) a dozen high-backed booths provided places to sit. 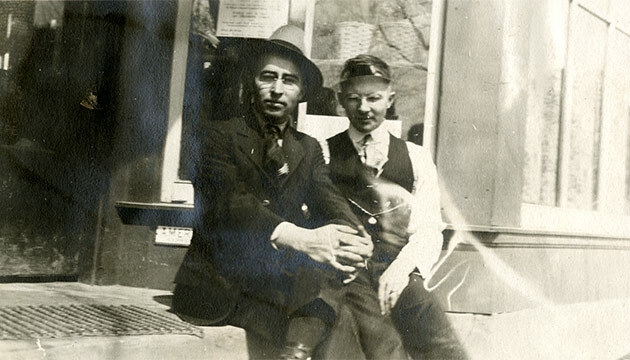 Photo from 1927, courtesy WSU Manuscripts, Archives, and Special Collections. 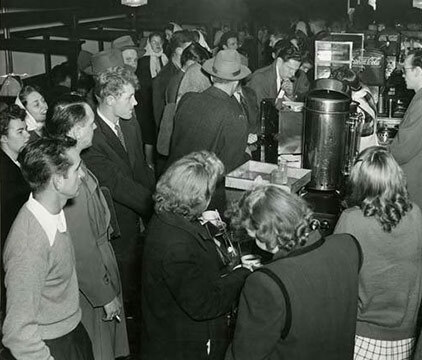 People crowd into the student bookstore for free coffee day in 1947. Photo University Publications/WSU Press, courtesy WSU Manuscripts, Archives, and Special Collections. Christmas shopping at the Bookie, December, 1948. Courtesy WSU Manuscripts, Archives, and Special Collections. 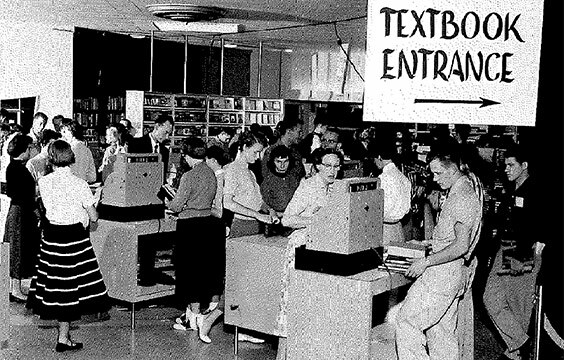 Students in line to buy books in the TUB (Temporary Union Building). During this time the former Bookie had been torn down and new one was being built, so the Bookie had moved into the TUB. 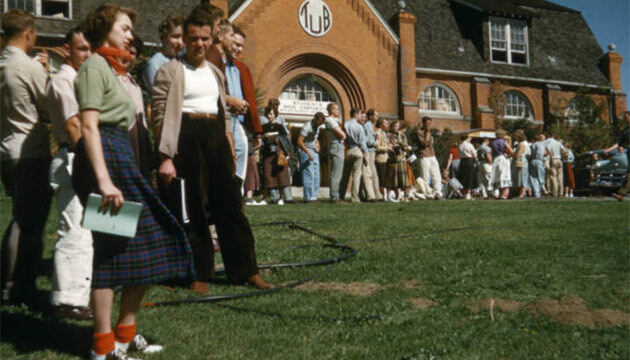 Photo 1953 by Paul Kies, courtesy WSU Manuscripts, Archives, and Special Collections. 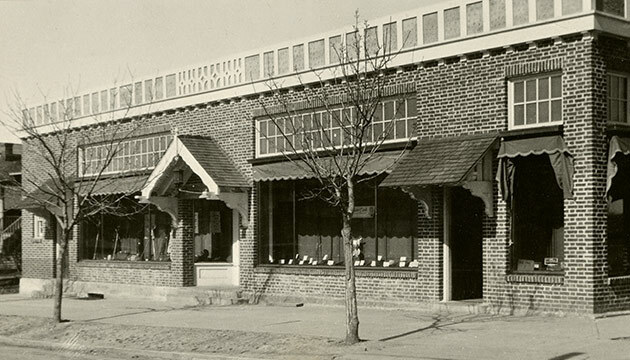 The new bookstore in 1954, erected on the site of the former. Photo Robert Bullis, courtesy WSU Manuscripts, Archives, and Special Collections. Buying textbooks for classes in the new Bookie. Courtesy WSU Manuscripts, Archives, and Special Collections. 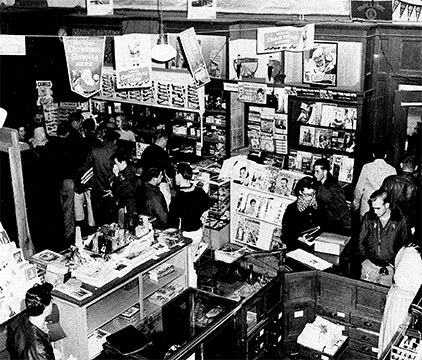 The bookstore as shown here circa 1956. From a postcard courtesy Neill Public Library and WSU Manuscripts, Archives, and Special Collections. 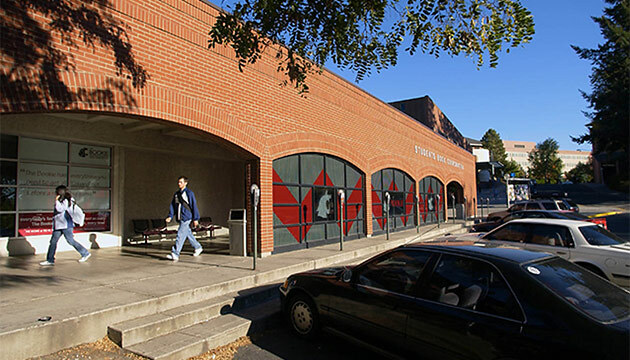 A three-story addition was made to the bookstore in 1964. 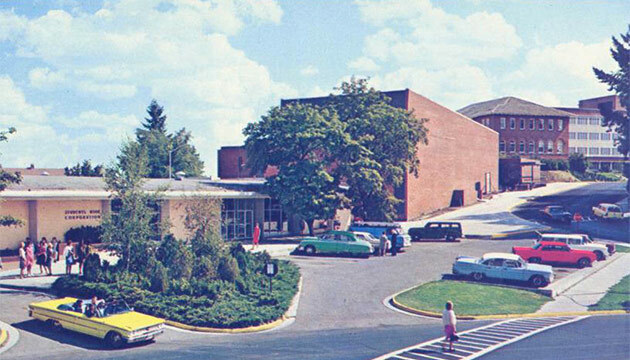 From a circa 1966 postcard courtesy Neill Public Library and WSU Manuscripts, Archives, and Special Collections. Floor space was further expanded in 1979-1980. Photo from 2005 by Robert Hubner/WSU Photo Services. The Bookie moved to the renovated CUB in 2008 where it is currently located. 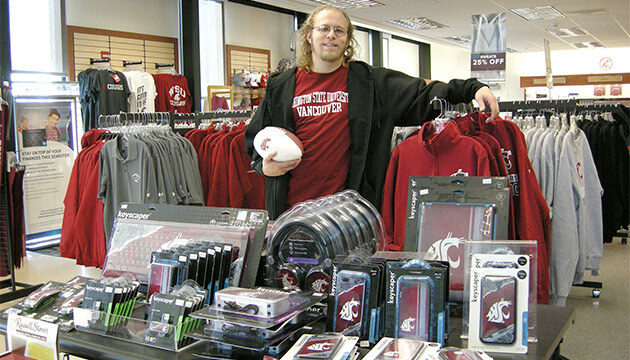 Books, school supplies, gifts, and Cougar gear can also be purchased through its online store. Courtesy wsucougars.com. 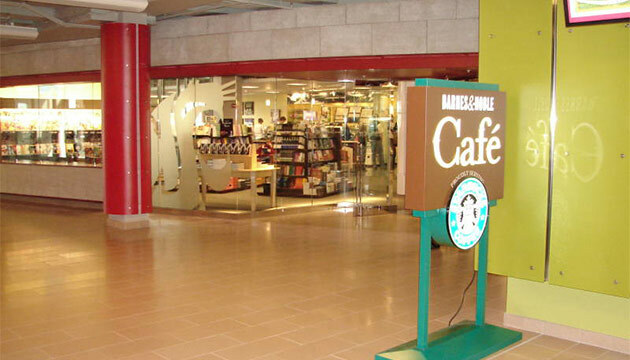 The Bookie also operates several branch bookstores. 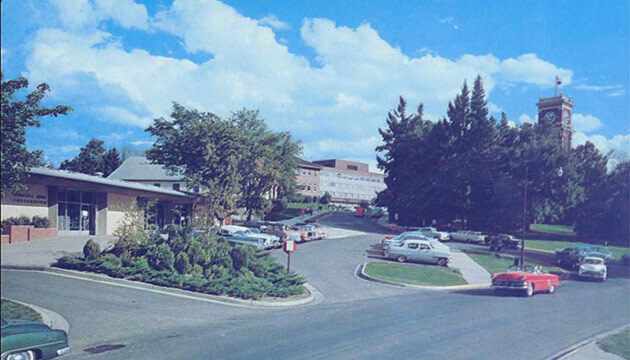 On the Spokane campus (depicted here) it is located at 410 East Spokane Falls Boulevard. Photo Cori Medeiros. 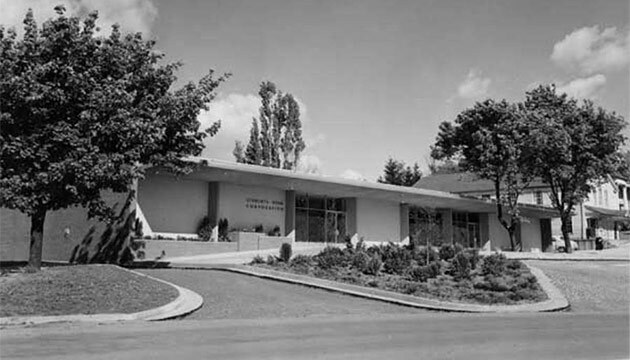 The Vancouver branch Bookie started out in 1990 in a less than auspicious location in Bauer Hall. Courtesy WSU Vancouver Library Archive. The Vancouver branch Bookie is now located in a more prime location in the Student Services Center. Photo of manager Jeff Ehli by Cami Joner/The Columbian. 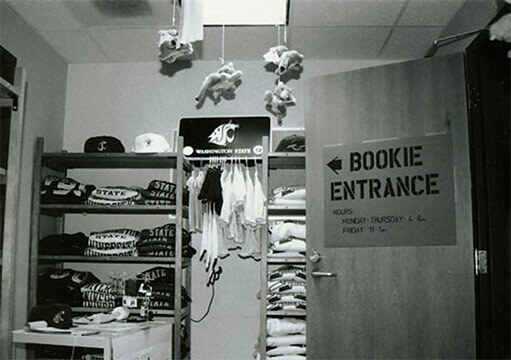 The WSU Tri-Cities Bookie is located in the East Building on the second (ground) floor. 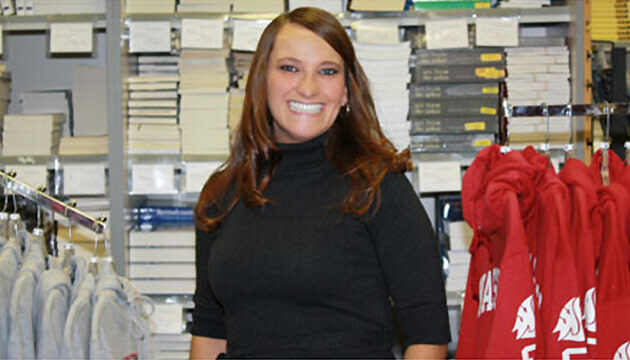 Photo of manager Trudy Freese ’09, courtesy WSU Tri-Cities. On July 13, 2014, the Bookie will celebrate its doors being open for 100 years. 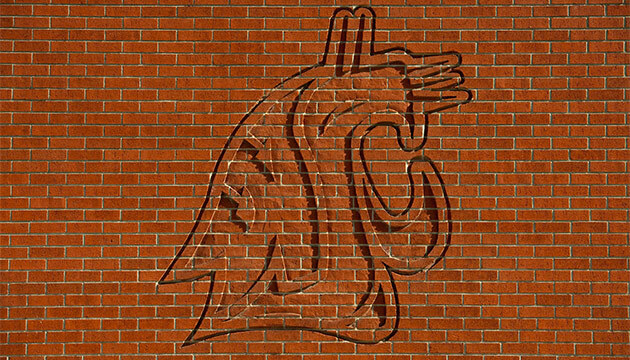 Here a photo of the Cougar logo on the brick wall of the former 700 NE Thatuna Street bookstore by Shelly Hanks/WSU Photo Services. Read more about the history of the Bookie.